I'd like to use differently sized windows as I process (a.k.a. 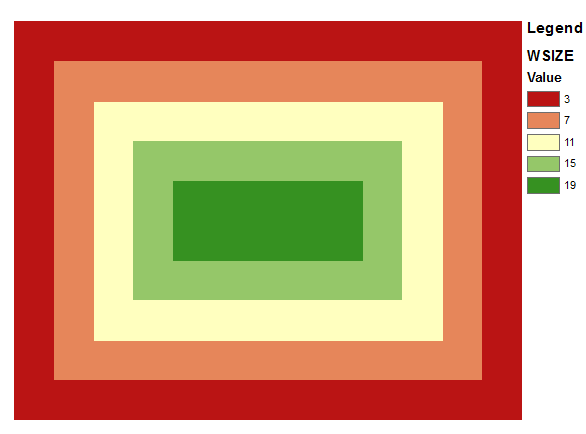 filter) a raster, with the size varying according to latitude. There are tools that allow a user to specify custom windows (e.g., "User-Defined Filter" in SAGA), but I don't see a way to dynamically adjust the size of the window according to some other variable (e.g., the values in a second, coincident raster which could easily simply state their latitudes). Finding local maxima with variable window search using ArcGIS Desktop? addresses this with respect to discrete areas; instead, I'd like to be able to continuously vary the size of the window. Ideally in SAGA, QGIS, or GDAL. Also open to doing it in Python (e.g., numpy arrays), R (matrices), or ArcGIS. Programmatically would be ideal, but something like Raster Calculator could work too. Very interesting, for a fundamental approach, you could use OpenCV >= version 3.0, to combine advanced image processing routines with GDAL as a data provider. OpenCV can use GDAL as an image data provider (sorry, I found only a C++ example), if you've compiled OpenCV with GDAL support. Both libraries have python bindings. It should be easy, to import GDAL and OpenCV in the same script to write your image processing algorithm with different window sizes in OpenCV, feeded by the pixel to world calculations of GDAL. Traditionally and for performance reasons, is the size of a convolutional image processing kernel fixed while number crunching the stuff, but a line by line operation in this context should work. ArcGIS Spatial Analyst has an irregular shaped neighborhood that can be used with it's Block and Focal statistics, which can be used for filtering. Kernel files (ASCII text) can be created and implemented programmatically with Python. The linked page provides some examples. Not the answer you're looking for? Browse other questions tagged qgis gdal saga variable-kernel or ask your own question. Finding local maxima with variable window search using ArcGIS Desktop? Assessing impact of spatial scale on derivative calculations and associated kernel size? how to decrease Raster size without altering cell size? 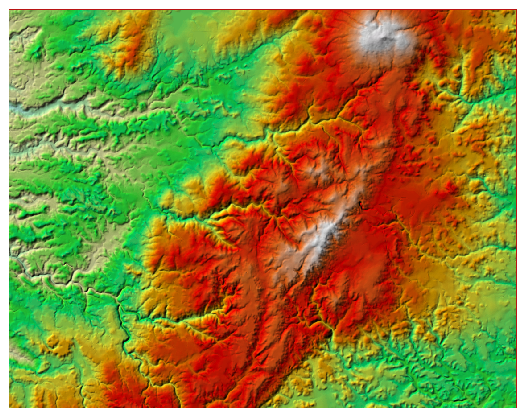 What are definitions of watershed segmentation, local maxima, variable window search, regarding LiDAR for vegetation? Making DEM raster file using centroid point shapefile in QGIS?